This wine tour was designed for the wine and food lovers that wish tolearn and taste what is produced in the Lisbon region. 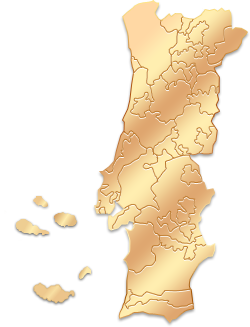 Close to Lisbon, we will take you on a tour to different wine estates, where the best wines of the region are produced. Meet the old and the new,you will feel as though time has stood still. The charm of classic barrels, old tools and utensils, aging rooms at Quinta do Gradil and the bold architecture and new production methods at Adega Mãe. Your lunch will take place in one of those wine estates, with a privileged view over the vineyards. During the afternoon we will take you to awell-known Quinta in Portugal, belonging to the Bacalhôa Group, Buddha Eden. You will be able to walk in the largest Oriental Garden in Europe. Late in the afternoon, before going back to Lisbon, we will take you on a tour to Óbidos, a charming village near Lisbon. We had a wonderful time. It was exceptional, in part due to our tour guide Jose! Many thanks, Gerri. Thank you for the Tour. Amazing help from your Travel consultants. We have enjoyed so much Quinta do Gradil. Bruno is a 5 star guide. The driver knowledgeable and enthusiastic. We highly recommend this Tour. "We had two great experiences with Wine Tourism. One was a dinner with clients in a fancy restaurants in Lisbon, And one was an entire day with trips to vineyards with a lunch, several wine tastings and a great dinner to finish things off. Mariana who helped us has been great, even if I was a bit slow in answering emails and getting back. I will definitely ask for marianas help in the future!" Starting in Lisbon, with Private Driver/guide in a Mercedes, you will have the opportunity to discover some of the best wine producers of the region. The first stop will be at Adega Mãe. Located in the Parish of Ventosa, has an area of approximately 40 ha. (98 ac.) devoted to vines and a production capacity of 1.2 million litres per year, thus giving rise to a full range of wines. Adega Mãe is a temple erected to wine and the worship associated with it. It is a Cellar of the future, equipped with the most advanced media for an optimal production regarding its resources. You will have a guided visit and a wine tasting. After the wine experience, you will visit Quinta do Gradil. It is one of the oldest estates of Cadaval and the Lisbon Wine Region, has secular historical landmarks and is a significant architectural landmark. Located about 50 km from Lisbon, between the sea and the mountains, its landscape invites to quietness and harmony between the wines and nature. An estate with a century-old wine tradition where you will taste the flavours of the Portuguese cuisine while enjoying one of the most charming views for wine lovers. Also the guided visit to the Cellar and wine tasting is included. The tour continues with the visit to one of the most impressive wine estates near Lisbon: The Buddha Eden, at Quinta dos Loridos. Quinta dos Loridos, in Bombarral, is the stage for the largest oriental garden in Europe, the impressive Buddha Eden, a true place of worship where you can find all the calm and serenity while you taste the famous wines of this estate. Between Buddhas, pagodas, terracotta statues and various sculptures carefully placed among the vegetation, it is estimated that over 6,000 tons of marble and granite were used to build this monumental work. You will have a visit to the gardens. Before going back to Lisbon, we will take you on a tour to one of the most charming medieval villages in Portugal - Óbidos- where you can't leave without tasting the famous Ginjinha de Óbidos.